How do I add a theme color to my account? You can create a custom look and feel for the content that learners see, including uploading a company logo and customizing a theme color for learner touch points. You can use the Bridge theme or pick a hex color based on a neutral theme, and preview what each page will look like for learners prior to applying changes. In the Account Management menu , click the Custom Branding link . 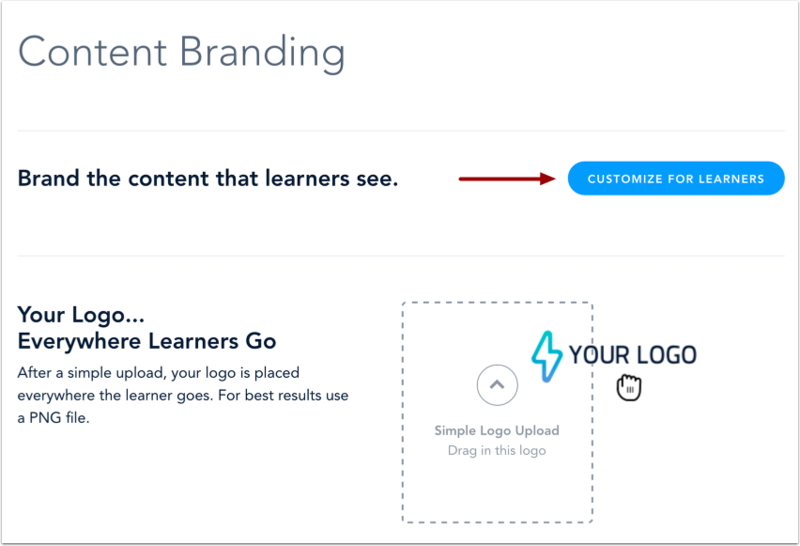 To edit branding, click the Customize for Learners button. To customize your theme color, click the Customize Color toggle. The toggle will change from gray with an X (off) to blue with a checkmark (on). Once the Customize Color toggle is enabled, you will notice the page thumbnails in the preview pane change to a neutral background. The theme color will affect buttons, link colors, progress bars, and other primary focus areas for learners, and will be based on this neutral theme. To add a theme color, click the Theme Color field  and enter a hex color code. The default selection is the Bridge theme color (hex color #3B9DFF). To change the Navigation Bar color, click the Navigation Bar field  and enter a hex color code. You can also add a primary logo. A primary logo appears on light backgrounds such as course headers and email notifications. Click an individual thumbnail  to open a larger preview. Bridge automatically saves your changes; however, you must apply changes for learners before learners can see your changes. When you're ready to apply changes for learners to see, click the Publish button . 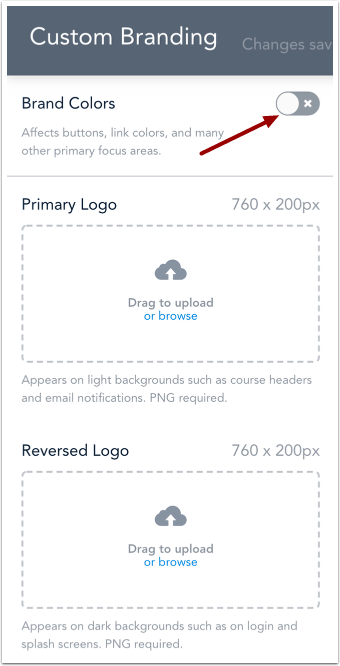 To return to the content branding settings page without applying changes, click the Close icon . Previous Topic:How do I add a company logo to my account? Next Topic:How do I customize the Learning header? Table of Contents > Manage Account Settings > How do I add a theme color to my account? How do I edit content branding for my account? How do I add a company logo to my account? How do I customize the Learning header?